In a medical breakthrough, South Korean doctors have successfully implanted an artificial trachea into a toddler who had been born without the windpipe. 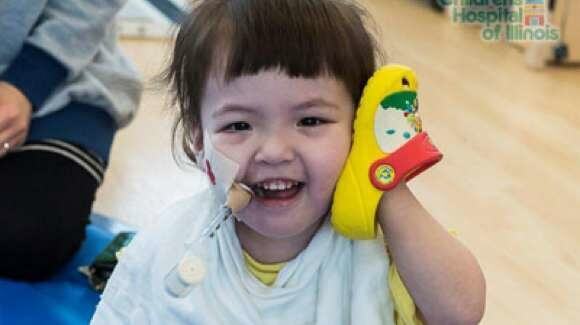 The artificial trachea, one of only a few ever to be implanted, had been coated with the toddler’s own stem cells. After living the first two-and-a-half years of her life in intensive care, Hannah Warren will soon be able to go home with her parents. Hannah had been born with tracheal agenesis, a rare birth defect in which the trachea fails to develop. The defect is normally fatal, but through extraordinary intervention – since her birth she has not been able to breath, swallow, eat, drink or talk without the help of the intensive care unit – Hannah has survived to 32 months of age. The trachea is the first to be completely made of synthetic materials and the recipient’s own cells. It was first built with non-absorbable nanofibers then coated with stem cells taken from Hannah’s bone marrow. According to Paolo Macchiarini, professor of regenerative surgery at the Karolinska Institute in Stockholm, Sweden who led the surgery, coating the trachea with her own stem cells, which then differentiate into tracheal cells, is crucial to eliminate the need for a human donor and the need to take immunosuppressant drugs for the rest of Hannah’s life. Following the successful, nine-hour surgery, two-and-a-half year old Hannah became, not only one of the first people to receive a trachea completely devoid of donor cells, she’s also the youngest person to ever receive an artificial trachea. Hannah is recovering from the surgery, which took place April 9, closely looked after by a team of pulmonologists, and respiratory and speech therapists. She is expected to return home to her family within the next few months. It was only in 2008 that the first person received a trachea treated with their own stem cells. Ciaran Finn-Lynch is another young person to receive a stem cell-treated trachea. In 2010 doctors implanted an emergency donor trachea when a metal stint used to keep his airway open caused major bleeding. Unlike Hannah’s, Ciaran’s trachea came from a cadaver. It was decellularized first and then repopulated with his own stem cells. Three years later, the young man is doing great. The Vatican honored his bravery last month with a Pontifical Hero Award. Rejection by the immune system remains a big problem with transplanted organs. The ideal situation would be to not take the organ from a cadaver but to build it from scratch and then coat it with the recipient’s stem cells. The surgeons in the current study achieved that for the first time. The hard tissue and simplicity of the trachea makes it a good part of the body to start with. Recently researchers were able to regrow a kidney and then transplant it back – into a rat. Still a long way to go before recoating with stem cells can routinely be applied to complex organs like the heart and transplant them into humans. But as Hannah’s case shows, we’re getting closer every day.